I knew there were other areas where we could improve, and I suggested to the entire workforce that they read Martin Luther King Jr.’s “Letter from Birmingham Jail,” one of the most important things I ever read. Inspired in part by theologian Reinhold Niebuhr, King’s letter is about seeking justice in a deeply flawed world. I have reread it several times since first encountering it in college. Because I knew that the FBI’s interaction with the civil rights movement, and Dr. King in particular, was a dark chapter in the Bureau’s history. I wanted to do something more. 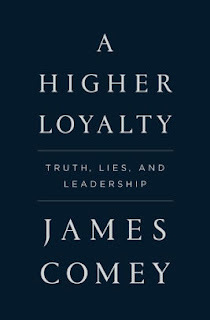 I ordered the creation of a curriculum at the FBI’s Quantico training academy. 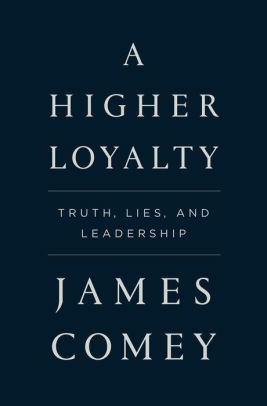 I wanted all agent and analyst trainees to learn the history of the FBI’s interaction with King, how the legitimate counterintelligence mission against Communist infiltration of our government had morphed into an unchecked, vicious campaign of harassment and extralegal attack on the civil rights leader and others. I wanted them to remember that well-meaning people lost their way. I wanted them to know that the FBI sent King a letter blackmailing him and suggesting he commit suicide. I wanted them to stare at that history, visit the inspiring King Memorial in Washington, D.C., with its long arcs of stone bearing King’s words, and reflect on the FBI’s values and our responsibility to always do better. The FBI Training Division created a curriculum that does just that. All FBI trainees study that painful history and complete the course by visiting the memorial. There, they choose one of Dr. King’s quotations from the wall—maybe “Injustice anywhere is a threat to justice everywhere” or “The ultimate measure of a man is not where he stands in moments of comfort and convenience, but where he stands at times of challenge and controversy”—and then write an essay about the intersection of that quotation and the FBI’s values. The course doesn’t tell the trainees what to think. It only tells them they must think, about history and institutional values. Last I checked, the course remains one of the highest-rather portions of their many weeks at Quantico.